Even if belatedly, the Western European industrial revolutions eventually reached Hungary by the first third of the 19th century. Starting with the parliamentary sessions in 1825-27, the reform era brought about substantial changes in industrial policy and the development of the manufacturing industry, the long-lasting effects of which can still be observed today. Serious efforts were made, albeit with some delay, to adopt Western European changes, or ‘innovations’ in contemporary parlance, and apply them in practice. ‘The greatest Hungarian’ Count István Széchenyi (1791-1860) laboured for the application of then-contemporary models. The implementation of state-of-the-art innovative transportation schemes fulfilling the highest standards of the period was an essential part of industrial development. Waterways had had an important role in freighting, Hungary’s delivery of goods relying on the River Danube, while the first half of the 19th century brought forth the land transport revolution. 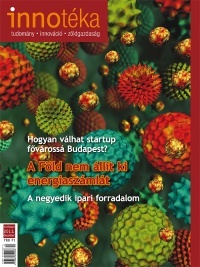 The Hungarian industrial development in the 19th century was characterized by a rapid adoption and further development of modern technologies for which European level skilled professionals would be available soon. During the first decades of the 19th century, Western European railway development and rail vehicle manufacturing soon found substantial follow-up in Hungary. 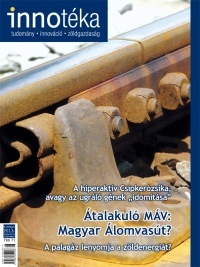 Based on the law of 1836, a tender announcement for channel and railroad construction was published, containing a list of 13 Hungarian railway line plans. 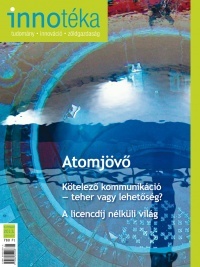 According to this law the Hungarian Central Railway Company initiated the traffic on the line between Pest and Vác on July 15, 1846. The feasibility of the railway construction plans often raised doubt. Even Ferenc Deák (1803-1876), renowned politician of the age, questioned whether ‘railway may ever exist’ between Pest and Debrecen. 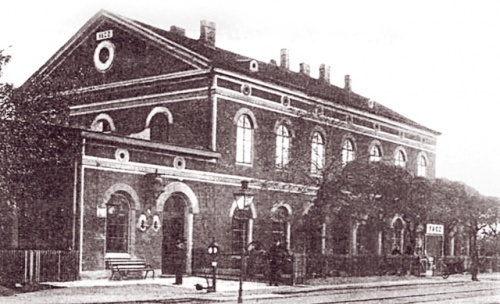 The railway’s first station in Pest – actually the capital’s first railway station – was built on the site of today’s Nyugati Station. The 99 km long Pest-Szolnok line was opened on September 1, 1847. Almost at the same time, on August 20, 1847 was established the rail link between Sopron (Ödenburg) and Bécsújhely (Wiener Neustadt). The President of the Sopron-Bécsújhely Railway Company was Count István Széchenyi himself. In the year of the Austro-Hungarian Compromise (1867) the Hungarian railway network had a length of 2,279 kms, and with an accelerated transport, the agricultural and industrial products quickly reached the customers. Railway construction implies the introduction of new technologies. Technological development prevailed in almost all areas of the railway. In respect of rail vehicle construction, the oeuvre of Ábrahám Ganz (1814-1867) proved to be a milestone. 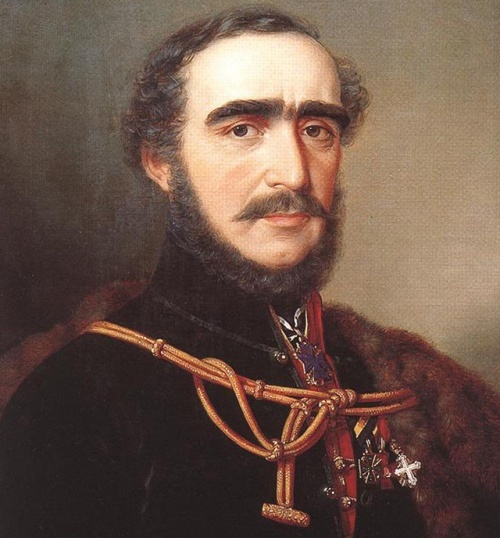 He was invited to Budapest by Count István Széchenyi and became the casting master at the Roller Mill Plant (referred to as Hengermalom in Hungarian), then in 1854 he began manufacturing hard cast railroad wheels in his own plant founded in 1844. At that time on the continent the rail carriage spokewheels were made of wrought iron. (Hard casting was invented by John Burn in 1812). The Ganz Factory bought the production rights of the patent and developed the basic idea further. The wheels had been given a special coating where they made contact with the rails so as to enhance their hardness and durability. Due to the continuous improvement of the technology, their products could remain competitive and significant international markets were gained, too. As a matter of fact, 86,074 pieces of hard cast wheels had been sold to 59 railway companies until 1866. The one hundred thousandth piece of hard cast wheel was made on November 23, 1867. On this occasion, Ábrahám Ganz gave a dinner party for all the factory workers and their families. During the initial decades, the Hungarian Railways’ steam engines had been acquired from abroad. As mentioned earlier, the first locomotives came from Belgium, and they were followed by engines mostly made in Austrian factories, while some others were manufactured in Germany and in Britain. The foundation of MÁV (Hungarian Royal State Railways) in 1869 accelerated the railway locomotive manufacturing in Hungary. The production of steam locomotives started at the MÁV Machine Factory in 1873. In a sense, the professional experience gained with the production of steam engines as power sources contributed to a good start. The Hungarian-Belgian Machine and Shipbuilding Company founded on Kőbányai Road in 1868 became state owned in 1870 and operated as the Hungarian State Railways’ machine factory since then. At that time mainly steam boilers were produced. 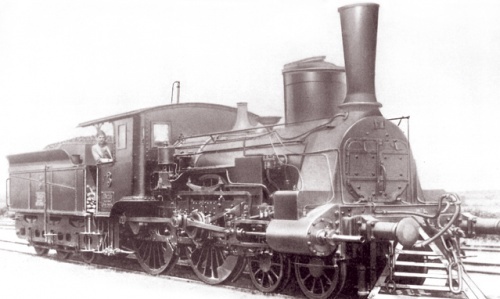 From 1873, locomotive manufacturing had been essentially based on Austrian designs which were soon changed to domestic ones. The locomotives manufactured here were displayed at the Paris World’s Fair in 1878 as well. The production increased at a rapid pace. At the Budapest Millennium Exhibition in 1896, the general public could see the one thousandth steam engine designed and made in Hungary. In those days, a locomotive design team with an international reputation led by Zsigmond Kordina worked for the MÁV Machine Factory. The locomotives manufactured there in 1900 were able to travel at a speed of 100 km/h. 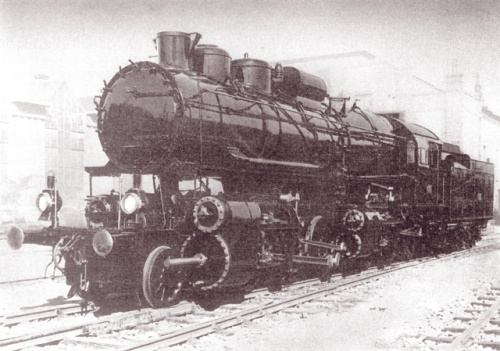 As a proof of international recognition of the railway vehicle manufacturing, the MÁV Machine Factory’s express train locomotive was awarded the grand prize of Paris World’s Fair in 1900. Railway stations were built in parallel to railway construction. The first railway station was completed in Buda in 1861. It was the Southern Railways’ station – today’s Southern Railway Station (Déli Pályaudvar) in Budapest. The Western Railway Station (Nyugati Pályaudvar) was opened for traffic in 1877. The new building was constructed around and above the old one, which was only demolished after the new station hall had been completed. 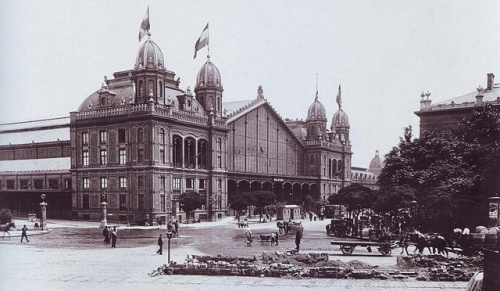 The Eastern Station’s (Keleti Pályaudvar) main building was carried out in 1884. The iron structure of the hall was designed by János Feketeházy (1842-1927). (His other work, the Franz Joseph Bridge – today’s Liberty Bridge – was inaugurated in 1896.) The Kelenföld Station was completed in 1884. The last decade of the 19th century brought forth great changes in railway construction. It is not a coincidence that in our country the 19th century is often referred to as ’the century of railway’. After 1860, wrought iron rails were replaced by steel rolled sections. For the construction of railway bridges wood had been used until 1857. The longest wooden railway bridge spanned the River Tisza in Szolnok, and the first iron bridge was the famous Szeged Tisza Bridge. The foundation of the MÁV in 1869 led to the development of an integrated railway policy. Naturally, new railway lines were built. For example, the one connecting Győr with Szombathely had been completed in 1871-72 and was soon extended to Graz; and also a new railway track was finished linking Székesfehérvár to Kiscell (Celldömölk) via Veszprém. 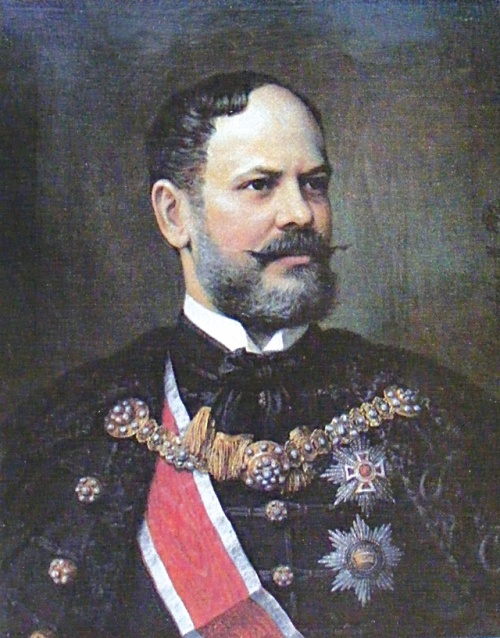 The previously initiated integrated railway development policy was carried out by Secretary of State Gábor Baross (1848-1892), later Minister of Transport. This ensured the implementation of railway development and transport policy on an international scale. It resulted not only in the construction of new railway lines and advanced vehicle manufacturing, but also prevailed in the so-called tariff reform with the introduction of the zone tariff system. The distance tariff was not based on kilometres anymore, but different zones were determined for equivalent tariff rates. Every distance over 225 kms had the same tariff. The implementation of this system substantially reduced rail rates, which brought about an increase of passenger traffic. 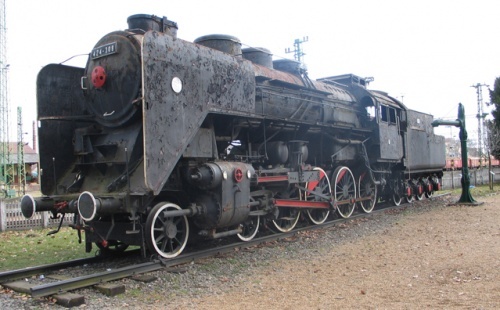 What were the greatest achievements in the locomotive manufacturing at that time? 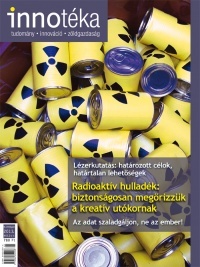 The industrial development in Hungary at the beginning of the 20th century was determined by the fact that a successful large-scale industry had been developed by the end of the previous century. Railway development and the related vehicle production had also contributed to achieving great international success. The automotive industry at that time was one of the most developed industries in our country. At the turn of the century, the Ganz Factory remained faithful to its former founding spirit of seeking new ways of railway vehicle manufacturing as well. All this was accompanied by an inter­national success such as manufacturing the world’s largest, fastest and most powerful locomotive in the Ganz Factory, which was installed between Paris and Orleans in 1926. Shortly before this, the famous 424 steam locomotive had been put into operation in 1924. Kálmán Kandó (1869-1931), member of the factory staff beginning with 1894, became a prestigious factory constructor and played a substantive role in the production of main line electric locomotives. In 1897, he studied the first 600-volt direct current locomotives commissioned in 1895 by the Baltimore & Ohio Railroad Company in America, based on which he realized that such small voltage cannot effectively operate high-powered railway locomotives. 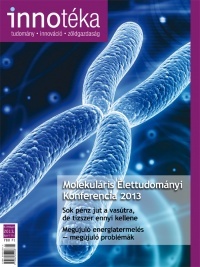 Kandó recognized that the induction motor, Nicola Tesla’s invention, can be adapted to rail traction as well. The so-called Kandó locomotives had international success. The first three-phase locomotive was built in the Ganz Factory in 1898, and was put into operation on the shores of Lake Geneva. In the early 20th century, more precisely in 1902, the so-called Kando-system locomotives were put into service on the Valtellina railway in Italy. It was the world’s first high-voltage, alternating current operated rail track section (106 kms), all the relevant parts of which were manufactured in the Ganz Factory. Another great invention of Kandó’s, the world’s first phase-changing electric locomotive, also made by the Ganz Factory, set off on its test travel from the Western Railway Station to Dunakeszi on October 31, 1923. The mass production of the 2,500 hp phase-change electric locomotives almost revolutionized railway traction. (A phase-change is a special synchronous machine, which transforms 16 kW, 50 Hz single-phase flow wire current into multi-phase low voltage electricity for induction motors.) The electrification of the Budapest-Hegyeshalom railway in Hungary was completed in 1932. As a tribute to the memory of Kandó, after the arrival of the locomotive at the Eastern Station and a short ceremony, the laurel wreath of the locomotive was taken to the great creator’s grave. As mentioned above, there was a significant transformation into diesel operation in the case of rail traction motors. 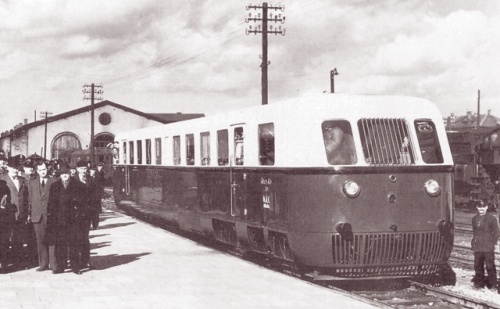 In 1902, a railcar plant was built in the Ganz Factory, which showed outstanding results with the engines designed by György Jendrassik (1898-1953). After he had obtained his diploma in mechanical engineering, Jendrassik was admitted to the Ganz Factory and became its CEO in 1942. Prior to that he had run the Engine Manufacturing Department. Perhaps his example may serve as a lesson that the engineers working at the engine development had to take a railcar driving test before the MÁV Locomotive Executive Committee, so that they could personally test the designed vehicles in a real ‘rail mode’. The factory had produced rail engines since 1925. 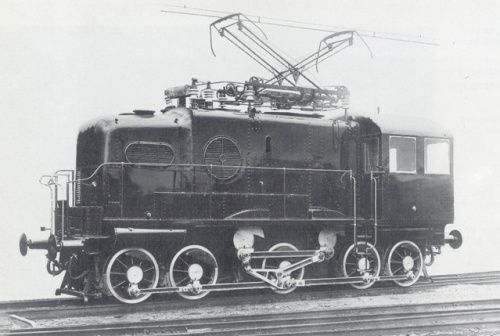 The first Ganz-Jendrassik 220 hp diesel engine applicable in rail mode was made in 1927, and the serial production started in the following year. The international success was impressive. In 1934 the Árpád bogie motor car completed the way between Budapest and Vienna in 2 hours and 57 minutes. Besides entering the European markets, Ganz motor trains reached Egypt and Latin America as well. Until the outbreak of World War II, the factory had exported 550 pieces of this kind of modern railroad trains. 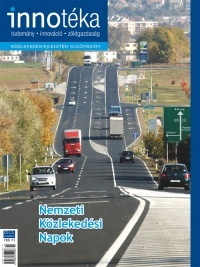 MÁV was the first in Europe to introduce motor train traffic at an inter­national scale. 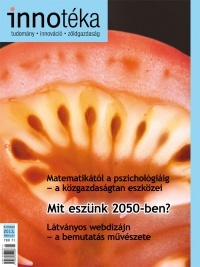 Ganz Factory applied the motto coined by András Mechwart, its former director: ‘Being prepared for future needs in time means being able to satisfy them with less competition and greater results’. 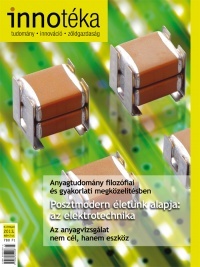 György Jendrassik was also involved in the implementation of gas turbines at the time. The world’s first small capacity gas turbine with self-combustion space was made based on his plans. 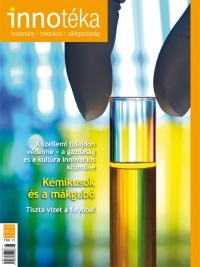 Jendrassik’s 77 patents were registered in 20 countries.